One of the most stubborn aspects of America's racial imagination is the insistence on having a term to separate and identify people of Latin American descent. It's a minefield of geography, color and language since we can be of any race and have few things in common beyond some degree of adherence to the Spanish tongue. This is why U.S. Latinos generally prefer to self-identify by their family's country of origin - Mexican, Colombian, Salvadoran, etc. Non-Latinos, though, have always needed an umbrella term for labeling us as one. 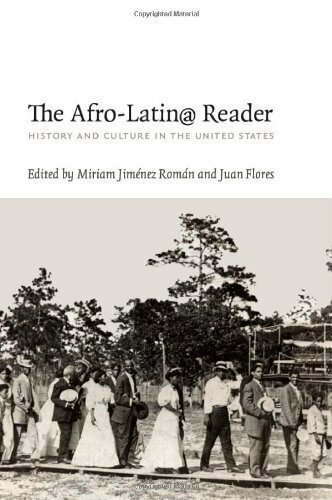 It was French colonists who first dubbed us "Latin" Americans, as a way of distinguishing their colonial project from Anglo colonization in the Western Hemisphere. Daniel Hernandez, "The case against 'Latinx'," The Los Angeles Times, December 17, 2017. http://beta.latimes.com/opinion/op-ed/la-oe-hernandez-the-case-against-latinx-20171217-story.html.